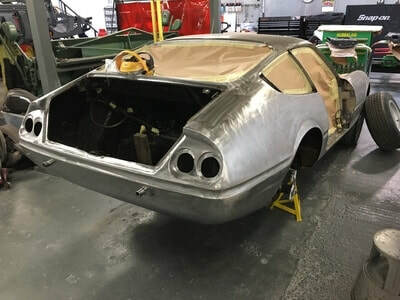 This Daytona was for a well respected collector and specialist and came into us initially with some fairly major micro blistering that needed addressing along with a few areas of corrosion that required cutting out, sections fabricating then letting in. We began, as with all cars that come in for restoration by taking measurements of all the panel gaps and how each panel fits to the next then logging all the information for future reference before removing all external fittings including bumpers, grilles, lights, door fittings and all glass etc. while documenting all for replacement or overhaul / plating etc. 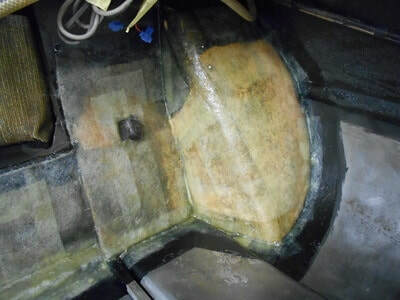 All external paintwork was then removed by DA sander exposing the bare shell and all its issues. 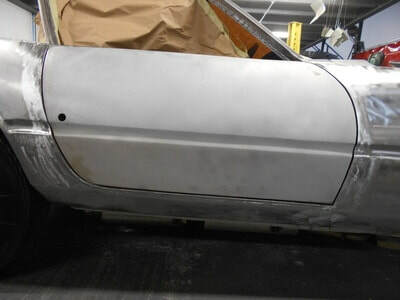 This car had plenty of those, the panel gaps often tell a different story once all the material is removed and this car was no different. Some labour went into addressing the corroded rear arches. 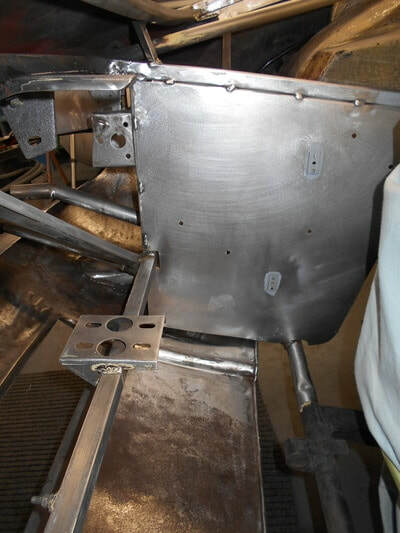 The door gaps were far too small so those were addressed to get them consistently to 5mm metal to metal. 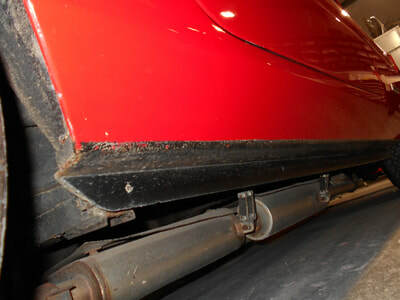 The engine bay has square tubing that supports the inner wings and flitches, some of these were also corroded and required replacement which is very common on these cars. 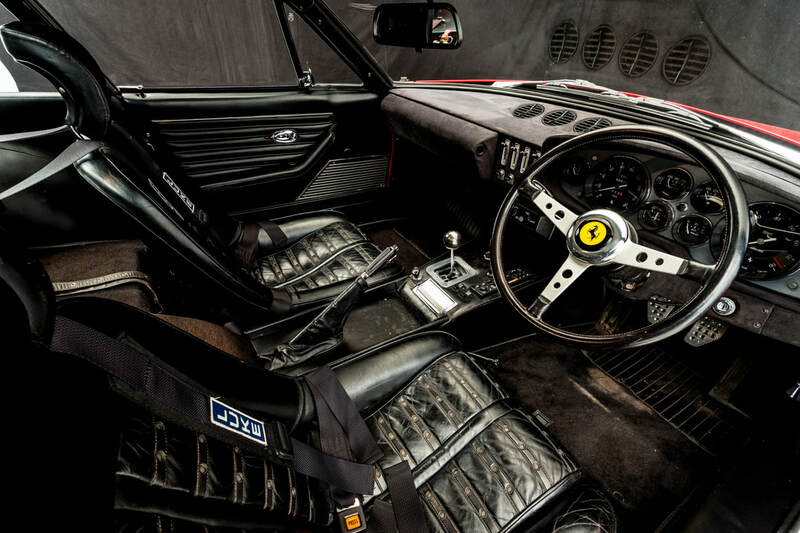 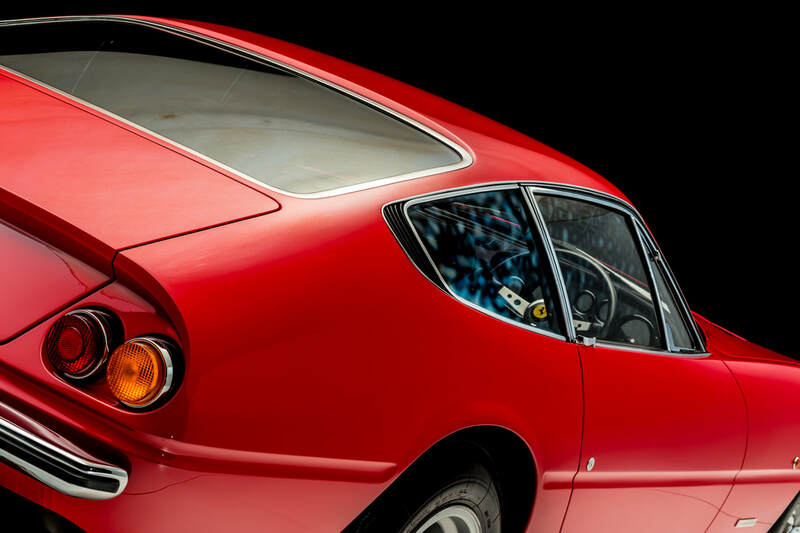 Once the metal work stage was completed there was a fair amount of fibreglass / composite work to sort out in the boot/inner wheel arch area to match what was originally there. 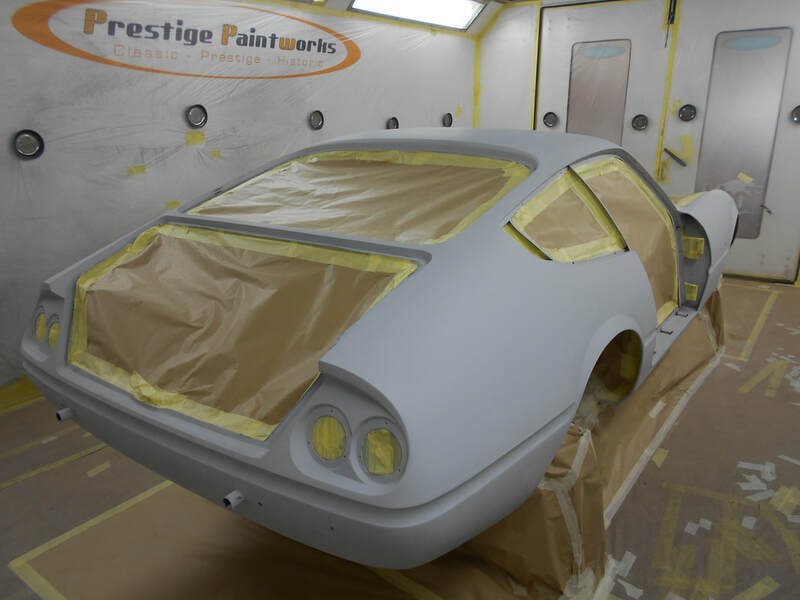 The exterior was then levelled for the shaping stage of the process. 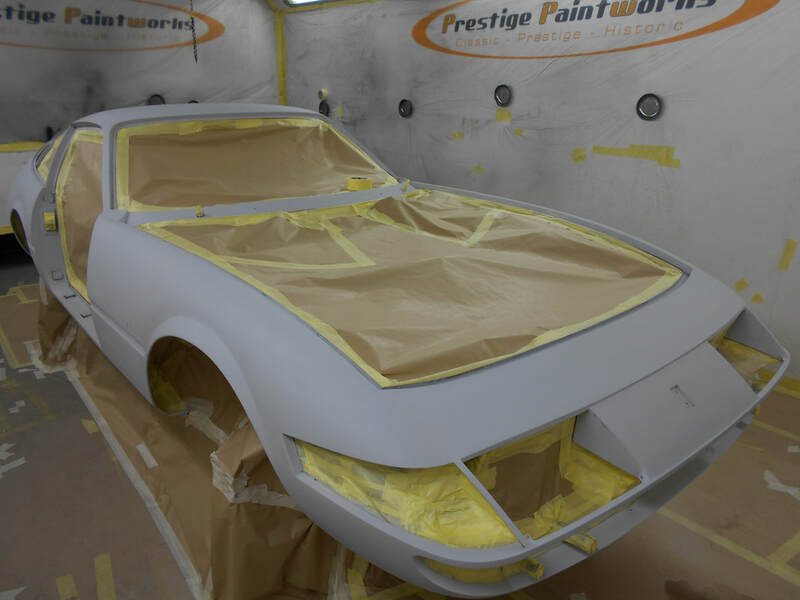 Once the body had been levelled, polyester primer was applied ready for final blocking to reach a glass smooth finish prior to paint. 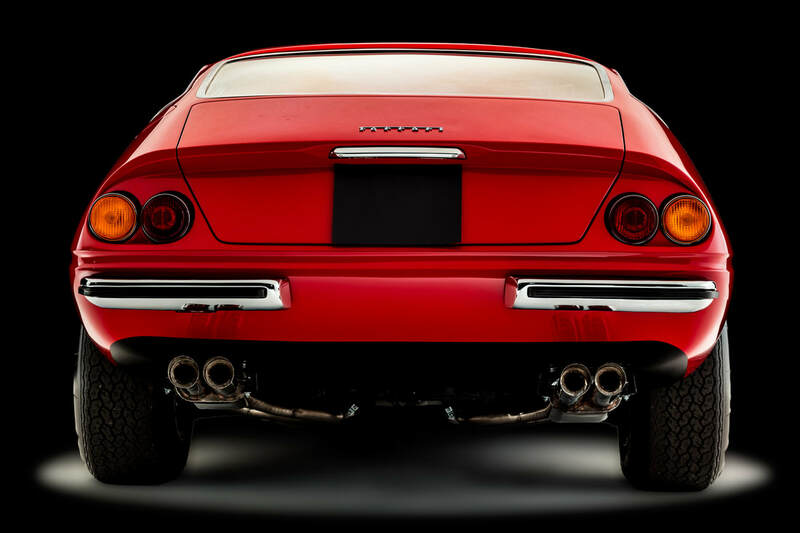 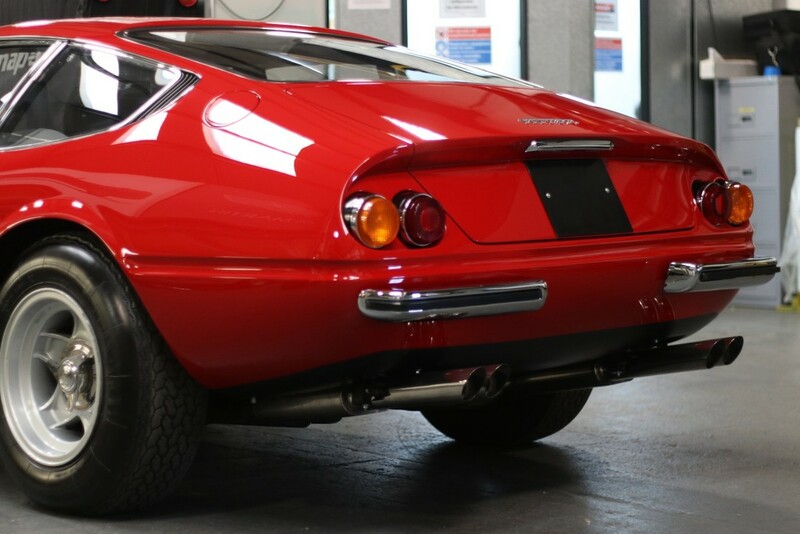 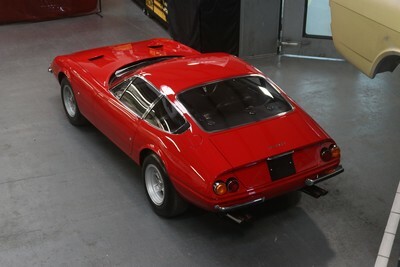 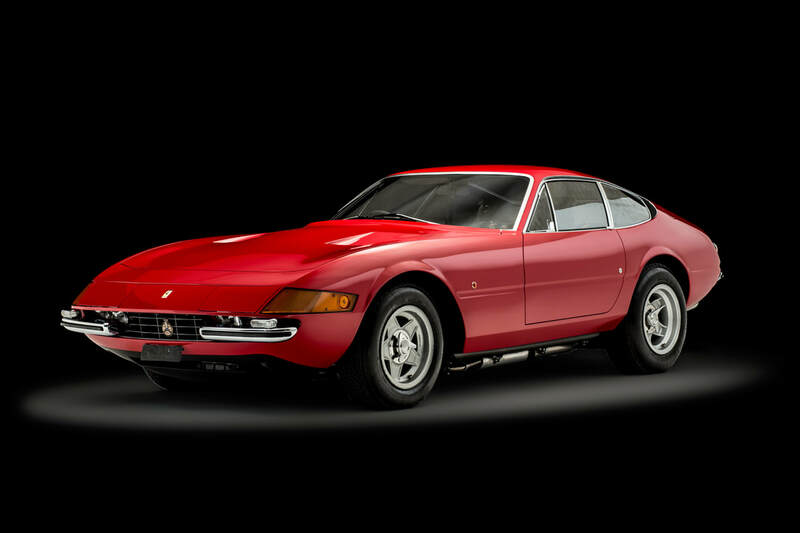 The body was then painted in a red tinted 'wet on wet' epoxy primer before its four coats of final factory original colour - Ferrari Rosso Chiaro.